• 40 lessons with lively dialogues including the most common and useful idiomatic expressions. 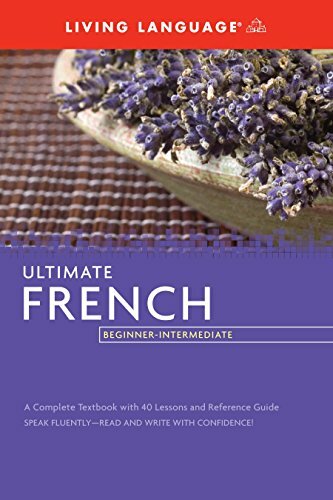 • English translations and explanations of French grammar and usage, pronunciation, vocabulary, and cultural notes. • Quizzes and review sections to check your progress. • A complete summary of French grammar, and verb charts covering all major tenses. • An extensive two-way glossary. If you have any questions about this product by Living Language, contact us by completing and submitting the form below. If you are looking for a specif part number, please include it with your message.